Lexington, MA and Shelbyville, IN – April 3, 2019 – Watermill Group, a strategy-driven private investment firm, has acquired Enbi, a leading manufacturer of high-performance precision rollers, gaskets, seals and insulation for complex applications in image transfer, fusing, substrate transport and acoustic and thermal insulation. 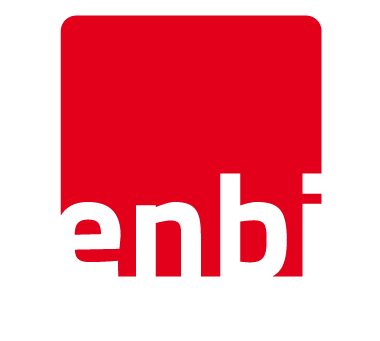 Enbi serves world-class OEMs in digital printing, ATMs and cash handling systems, HVAC as well as other industries in which exacting precision and quality are critical to end-product performance. The Enbi deal marks Watermill’s second major cross-border acquisition in two years, deepening the firm’s presence in Europe and adding to its global portfolio of holdings. Founded in Nuth, The Netherlands, and headquartered in Shelbyville, Indiana, Enbi’s manufacturing presence spans the US, Europe and Asia. These facilities, combined with Enbi’s globally collaborative approach to problem solving, fuel the organization’s agile product development prowess and enable it to scale manufacturing services that meet the specific technological needs, volume demands and geographic strategies of market-leading customers. Watermill acquired Enbi from Platinum Equity for an undisclosed amount. For Watermill, Grant Thornton provided tax due diligence, Phoenix provided financial due diligence advice, and K&L Gates and Blais, Halpert, Lieberman & Greene provided legal counsel. Lincoln Financial advised Enbi, and Stubbs Alderton & Markiles, LLP provided legal counsel. The Watermill Group is a strategy-driven private investment firm that helps companies achieve their full potential through strategic transformation. For more than four decades, Watermill has been acquiring, operating and improving companies. Watermill looks for businesses in which it can apply a unique combination of strategic insight and management expertise to re-imagine their future and drive growth. A leading manufacturer of high-performance precision rollers, insulation, gaskets and sealing technologies, Enbi serves best-in-class OEMs in digital printing, ATMs and cash handling systems, HVAC (heating, ventilation, air conditioning) as well as other industries in which exacting precision and quality are critical to end-product performance. The company serves a worldwide customer base from its headquarters in Shelbyville, Indiana as well as manufacturing facilities in the US, Europe and Asia. To learn more, visit enbigroup.com.